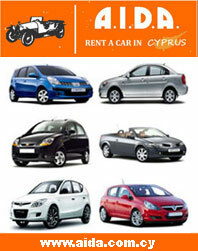 Odysseas car Rentals is a reliable and respected car rental company in Paphos for over 30 years. As a family owned company, we aim to provide a superior level of customer service, with a closely personal touch, as well as operating to the highest international car rental standards. We will take pride in assisting you to enjoy your visit.